MADRID (Sputnik) – Former Catalan President Carles Puigdemont will lead the list of Catalonia’s Junts per Catalunya (JuntsxCat) party in the upcoming European Parliament elections, the party said. Puigdemont Files Complaint Against EU Parl't President Over Body's "Censorship"
BRUSSELS (Sputnik) - Former Catalan President Carles Puigdemont filed a complaint to the office of the European Ombudsman against European Parliament Speaker Antonio Tajani, who banned a conference organised by the legislature in which the Catalan politician was expected to participate, a spokesperson for Puigdemont's movement told Sputnik. 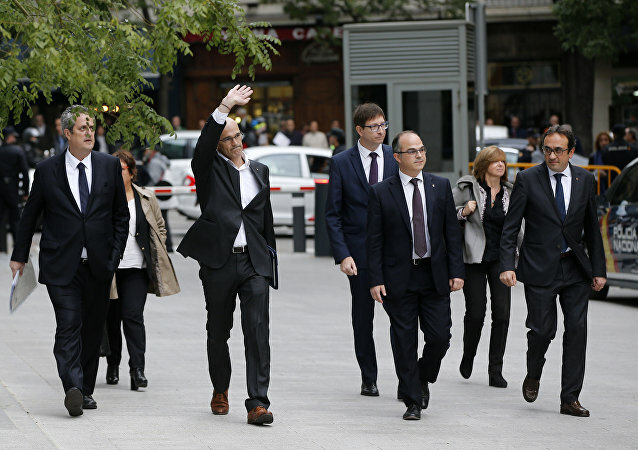 MOSCOW (Sputnik) - The trial of Catalan independence movement leaders, which began in Madrid earlier on Tuesday, is a "stress test" for Spanish judiciary system and democracy, former Catalan President Carles Puigdemont said. MADRID (Sputnik) - Two politicians, currently in pre-trial detention on charges linked to Catalan independence referendum, Jordi Sanchez and Jordi Turull, have announced the beginning of hunger strikes, the ANC told Sputnik on Saturday. MOSCOW (Sputnik) - Former Catalan leader Carles Puigdemont will unveil on Tuesday the so-called Council of the Republic, a parallel government of the Spanish region he plans to lead from exile in Belgium. BRUSSELS (Sputnik) - Former Catalan President Carles Puigdemont has said that he will not run in the elections to the European Parliament next year as a candidate from the New Flemish Alliance (N-VA). 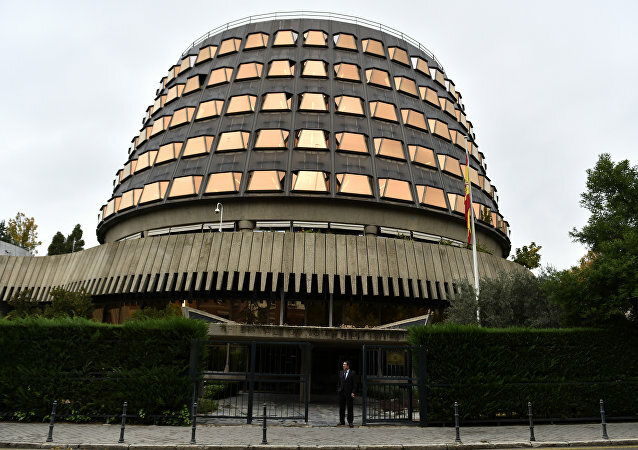 BRUSSELS (Sputnik) - The New Flemish Alliance (N-VA) might field a candidate on the list of a Catalan party linked to Carles Puigdemont, in exchange for his participation in the European elections as a candidate from N-VA, a source close to Jan Jambon, the Belgian interior minister and a prominent member of the Flemish party, told Sputnik. BERLIN (Sputnik) - Former Catalan leader Carles Puigdemont said on Wednesday that reports on Russia's alleged involvement in Catalonia's pro-independence movement are lies that can not be justified. MOSCOW (Sputnik) - The Prosecutor General’s Office of German northern Schleswig-Holstein state confirmed on Friday that it has sent a request to the state’s High Court to cancel the extradition process of former Catalan leader Carles Puigdemont as the Spanish Supreme Court has withdrawn the EU arrest warrant against the politician. 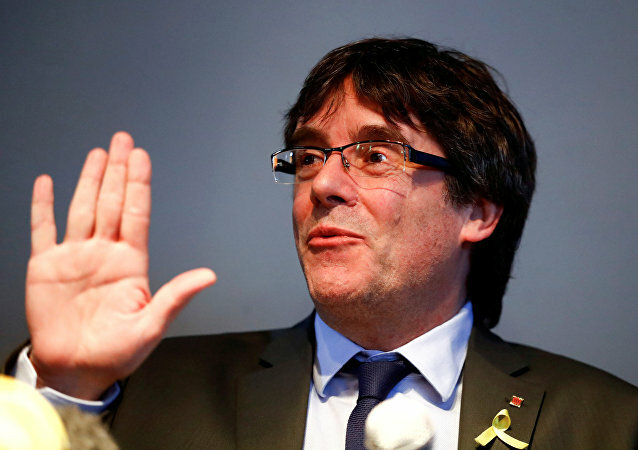 Earlier, Germany's superior court of Schleswig-Holstein state has made a decision to extradite the ex-head of the Catalan government Carles Puigdemont to Spain over accusations for graft. With St Andrew’s University Professor Carla Ponsati being sought by the Spanish government over rebellion charges relating to the Catalonia independence movement, the controversy surrounding the issue may well flare up again. MADRID (Sputnik) – Spain's Constitutional Court rejected the appeal of ex-Catalan leader Carles Puigdemont regarding the lawsuit initiated by the Spanish government against the Catalan parliament's ability to approve its head of government even if the candidate is abroad, according to the court’s statement.